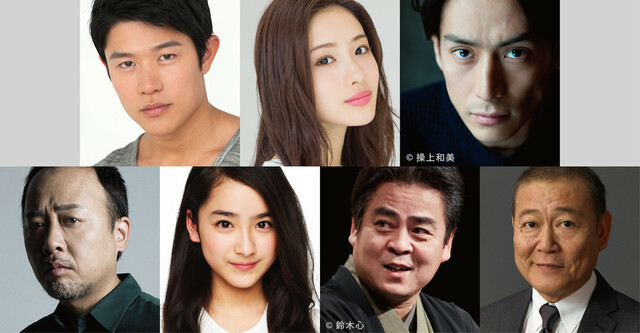 Supporting cast added for upcoming movie “Shinobi no Kuni” starring Satoshi Ono. Cast in supporting roles for the film are Satomi Ishihara, Ryohei Suzuki, Yusuke Iseya, Yuri Chinen (‘Hey! Say! JUMP’), Yuna Taira, Makita Sports, Danshun Tatekawa, Jun Kunimura, Denden, Shinnosuke Mitsushima and Kitaro. Movie is based on 2008 novel “Shinobi no Kuni” by Ryo Wada and directed by Yoshihiro Nakamura. “Shinobi no Kuni” will be released sometime during summer, 2017 in Japan.